This pattern is available for C$10.00. 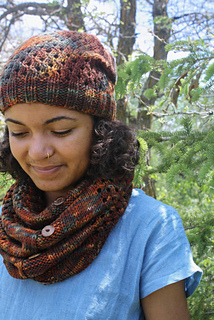 The Stella Slouchy Set is part of the Flatlands Collection featured at the 2017 Manitoba Fibre Festival. Join us on Ravelry, Facebook, and Instagram (using the hashtag #flatlandscollection) for a KAL. Official FO posts can be made on the Manitoba Fibre Festival forum to qualify for a prize. Join us and purchase your patterns between August 1 and 6 to receive a 30% discount (automatic at checkout). 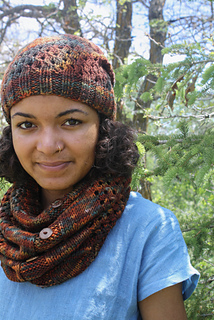 The Stella Slouchy Set includes 2 coordinating designs: a slouchy hat + a slouchy cowl. Both are made with the same sized circular needles + the same yarn. 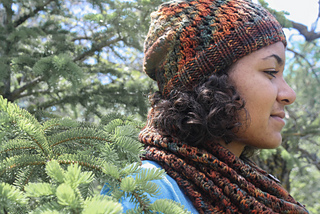 The Stella Slouchy Hat is written for size small/medium (approximately 19-21” head circumference); the Stella Slouchy Cowl is written for one-size-fits-all. 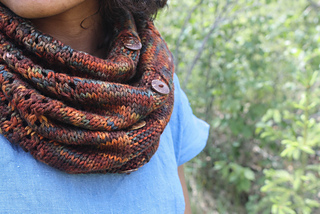 The buttons on the Stella Slouchy Cowl are decorative, so there are no button holes to worry about making. 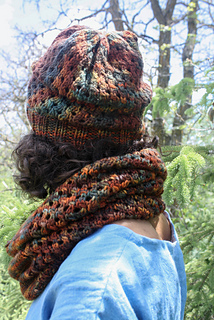 Both the hat + cowl feature the same lace design. You’ll only need to learn it once! 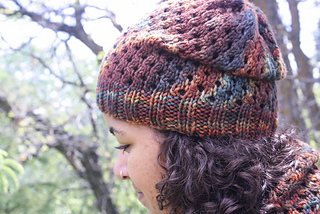 Yardage amount reflects requirement for hat only, to hat and cowl combined. Perfect for beginner knitters with basic decreasing/increasing experience, and intermediate knitters.